When Space Invaders dropped into Japanese arcades, the alien shooting gallery was such a phenomenon that the 100 yen piece, the equivalent of an American quarter, became a rarity. The game's action was straightforward and exacting, and the narrative spoke to everyone's inner xenophobe. Ultimately, however, it was the stellar soundtrack—a simple pulsing heartbeat that accelerated with each passing minute—that made each playthrough a thrill. Video games have always had the ability to affect a player's biorhythms but now games are being created to pull those physiological reactions into the game. "I really look forward to when games are controlled at the most basic level by not only the buttons you press, but also by the way you react, by where you look and by what you say and don't say," said Chuck McFadden, executive producer of Intel RealSense Gaming. "Imagine your entire human-self engaged in the experience." McFadden has been working with Intel's RealSense sensory input technology for years. The depth camera technology is giving game makers a way to bring a player's body movements and heart rate into their games. Past attempts at biofeedback games merely toyed with the concept. Tetris 64 shipped with an earclip that monitored the player's pulse, organically changing the puzzle game's difficulty. But a new slate of contemporary games are using their players' bodies not only to entertain but to help them understand and regulate their health. Now, instead of shooting for a new high score, players can aim to improve their mental, emotional or physical well-being. That certainly seems worth a quarter or two. Created by a small team in the Netherlands, Skip a Beat is what would happen if Flappy Bird had been built by a cardiologist with a flair for creating geodesic illustrations. The player holds her finger over the phone's back camera and flash so that the built-in light sensor can keep tabs on her heart rate, which then influences the on-screen action. When the player's pulse goes up, the character, a frog flying through the sky, grows in size. This means avoiding obstacles becomes more difficult. Maintaining a steady heart rate and keeping calm adds a challenging, instructive layer to what could have been a simple endless runner. Described as a "neuro-feedback game," Mindlight's most fearsome enemy is not some fantastical monster but the player's own anxiety. 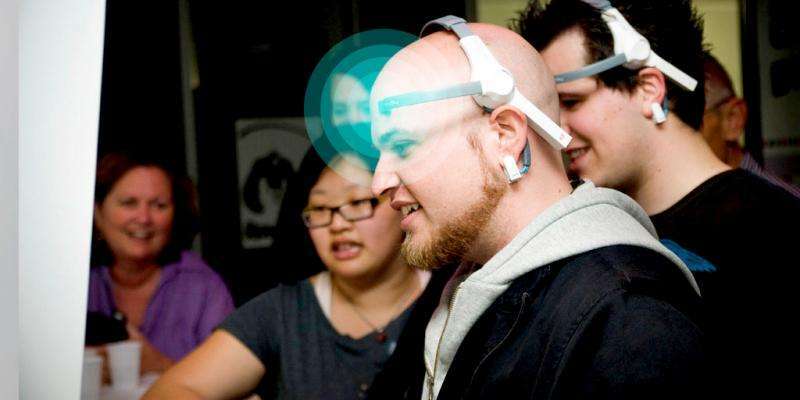 Players wear a simple headset outfitted with a single electrode that monitors the wearer's brainwaves and places them in the game world. What sounds like science fiction is actually based on research from the Developmental Psychopathology department at Radboud University. 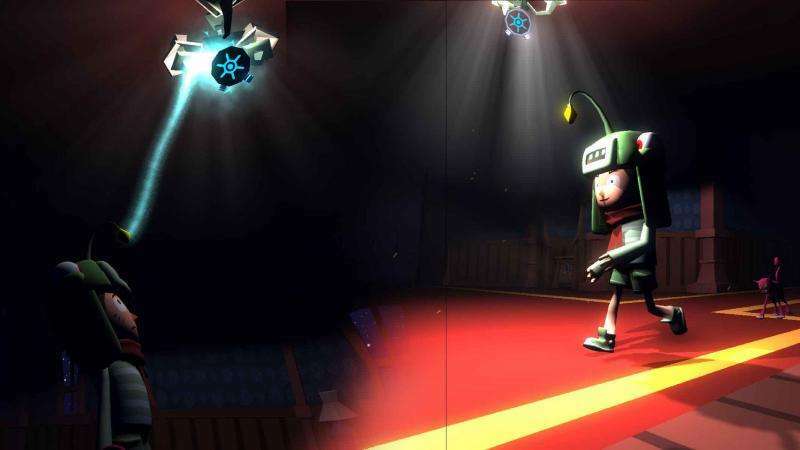 In game, the character wears a magical hat that shines a path forward through a dark and foreboding mansion. 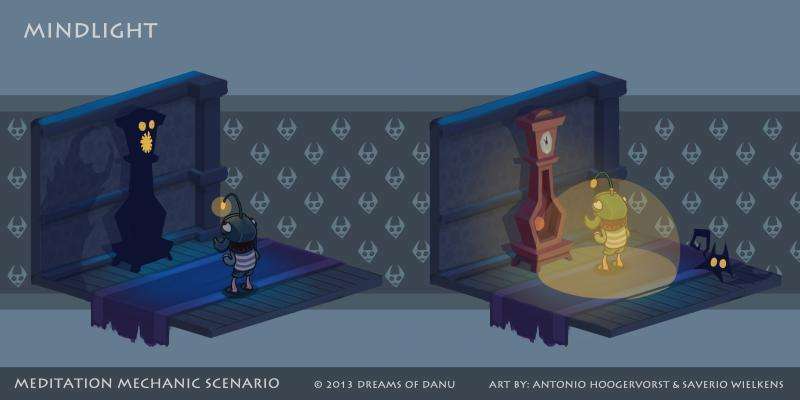 Players must navigate, moving room to room as they solve puzzles and defeat creatures. If the player grows nervous or anxious, the light will fade, obscuring the way. 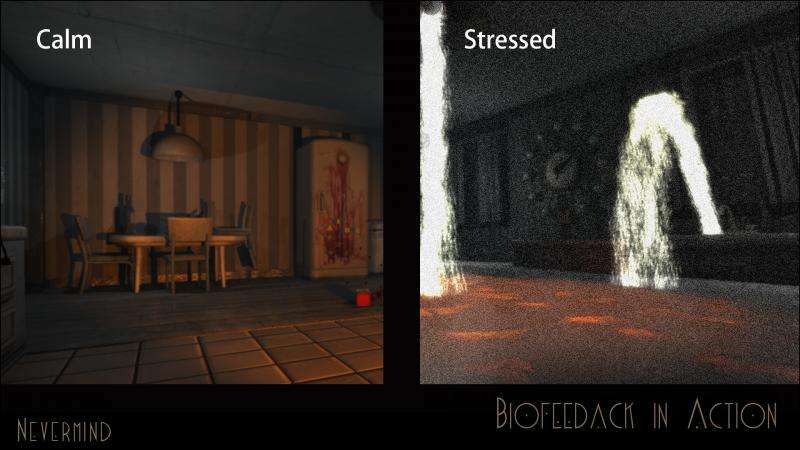 By combining real-time feedback based on the player's actual mental state, GainPlay Studios is creating a new kind of video game power-up: The ability to control fear responses. Sometimes, people like being scared. Flying Mollusk's Nevermind rewards the player with an increasingly surreal and horrific experience the more tense she gets while exploring a haunted house. Though playable without any biofeedback device, a slate of sensors including Intel's RealSense camera are supported, offering a window into the player's internal state. That mood is then reflected in the game world: If the player's biorhythms are detected as too erratic, a serene kitchen bends and distorts into a flooded, static-y nightmare. To ensure the game's nightmarish feel was truly frightening, the team needed to test the game over and over again. This proved challenging. 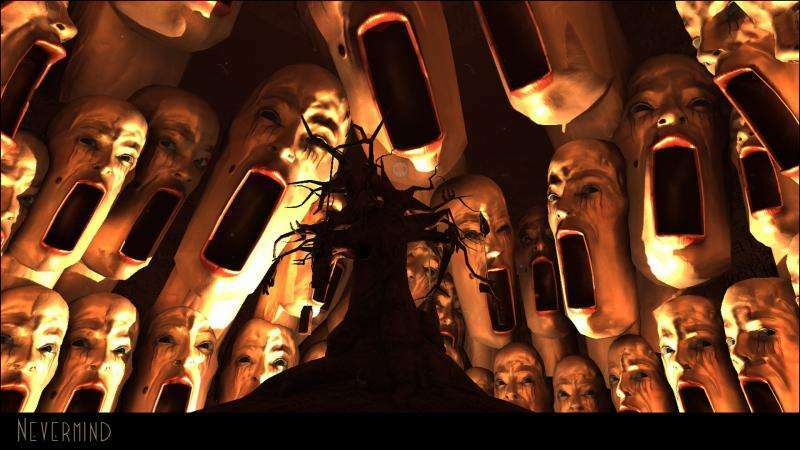 "The disturbing images and jump-scares start to lose their potency by the hundredth time you experience them," explained McFadden, who helped during the game's development process. "We had to come up with creative ways to manipulate our heart rates." The final result is a game that's wholly different from adventure games like The 7th Guest and Silent Hill that toy with horror as a reflection of the player's skewed reality. Nevermind dissolves the barrier between fear in the game and fear out, and the results are terrifying. Video games usually try to excite their players, with deafening explosions often acting as the reward for a job well done. Wild Divine is interested in calming those frayed nerves. More a meditation lesson than pure entertainment, Wild Divine uses the IomPE Biofeedback sensor to give the player immediate insight into her body's reactions. One scene shows rose petals floating on water while the user is instructed to breathe in and out slowly. Whereas standard meditation relies on the practitioner understanding whether he is "doing it right," the included sensor helps answer that question. This helps players realize meditation as the developers see it: "Nothing more than the practice of paying attention." Biofeedback can be a novel experience for the player, but what happens if playing a game actually provides important information to a larger community, too? Rochester Institute of Technology and St. John's College had the same idea. That's why they collaborated on a project to build a proprietary physiological controller that would not only measure a player's nervous system but also gather data. By answering a set of preliminary questions, each player generates her own unique avatar. Then, harnessing the fight-or-flight response, the player carefully guides the avatar through a virtual environment. The result enhances gamers' ability to overcome challenges at home, school and work. By studying the cumulative results of thousands of players, however, the researchers can identify better ways to treat mental health and behavioral problems in the future. The game also means players have the added incentive of playing video games "for science."